Succeeding in the real estate business is not as easy as the experts you see on TV make you believe. It is true that you can make a lot of money in this business. But you will also have to work hard. The way you present your information, connect with leads, and take care of your clients matters too. Having a professional website for your practice goes a long way towards helping you grow your business faster. 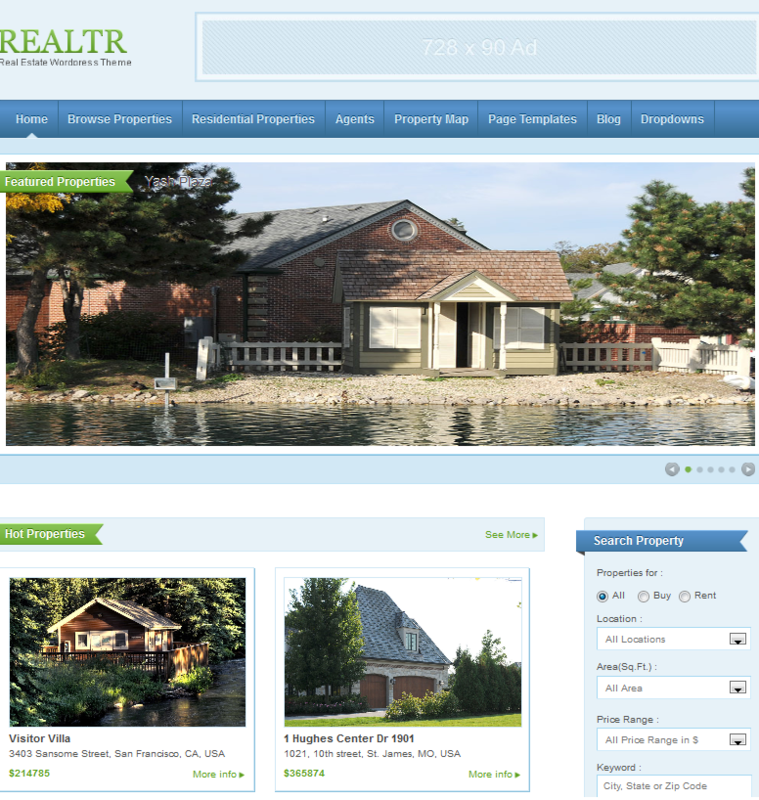 Reatlr is an attractive theme that gives your real estate website a professional makeover. Realtr is developed to work right out of the box. It comes with sample data, so you can learn how to quickly add your own data. You can use this template to develop your own paid real estate listing website. Of course, you need to get a decent amount of traffic and have a great reputation for people to want to pay you to get listed on your site. The Realtr theme has a customizable homepage with a cool slider. 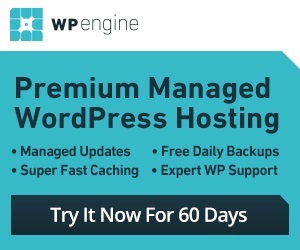 It supports multiple pricing packages. In fact, it comes integrated with various payment gateways. Realtr has user profile fields. Want to have a side-blog? No problem. This theme works with MLS and IDX systems too. The bulk upload / export features are a huge plus. 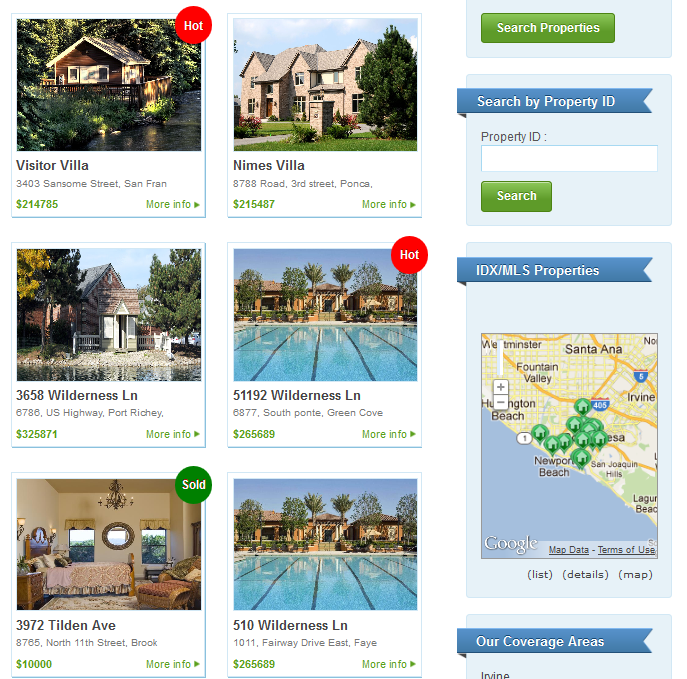 Overall, the Realtr theme is pretty good looking and makes putting together a professional real estate site much easier. This is one of the better real estate themes we have tested.